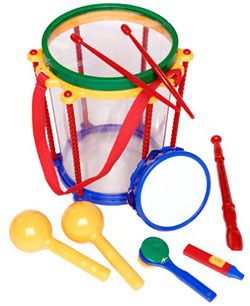 Reviewer: "Our toddler received this drum/instrument set for her 2-year birthday and she simply loves it. It is durable and colorful and is often the first toy she grabs. Her aunt scored lots of bonus points for this gift and we've recommended it to other toddler parents. You can't go wrong."